The average price for this game in the past 6 months is $1.80. The game first became 50% off on Jul 26, 2016 at Green Man Gaming. Lowest historic price was $1.50 on May 16, 2018 at Green Man Gaming. Turn-based strategy Hitman game? Hitman GO: Definitive Edition released yesterday on PC. Instantly 20% off through February 29th plus GMG's 20% off stacking coupon drops the price from $8 to $5.12 (36% off MSRP). The average price for this game in the past 6 months is $37.53. The game first became 50% off on Mar 16, 2019 at Green Man Gaming. Lowest historic price was $29.58 on Mar 16, 2019 at Green Man Gaming. Last month's release of Hitman 2 is already on sale for a big 37% off thanks to Fanatical's Winter Sale. All editions are on tap, but we think Standard at $37 is plenty of content - unless of course you're a big Hitman fan. Reviews are overwhelmingly positive (88% on Steam) with IO Interactive delivering another solid installment to the popular franchise. Hitman 2 is now released and the reviews from critics and gamers are positive. If you've enjoyed the stealth assassin title before, this would be everything you'd expect. Heck - you're probably already playing the game. Steam key, 24% off for Silver and Gold Edition as well. Releasing this coming Tuesday, Hitman 2 is now 30% off at GMG. Silver and Gold are also on sale. You'll get instant access to play the online Co-op Sniper Assassin Mode as pre-order bonus. If you're a fan of IO Interactive's Hitman series, this is a great release week deal. Steam key. DLGamer has Hitman 2 pre-order deal for only $45. Now published by WB Games, the popular IO Interactive franchise returns later this November. Pre-order bonus includes Sniper Assassin online co-op mode. Steam key. For a limited time, preorder of Hitman 2 is on sale for 27% off. Discounts are also available for the Silver and Gold Edition but the best percent price cut is Standard. Includes sniper assassins mode as a pre-purchase bonus. Steam key. The average price for this game in the past 6 months is $52.45. Lowest historic price was $42.39 on Mar 20, 2019 at DLGamer. The average price for this game in the past 6 months is $63.34. 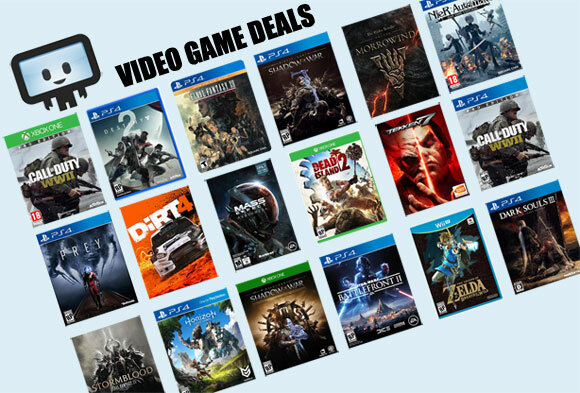 Lowest historic price was $52.99 on Mar 20, 2019 at DLGamer. Pre-purchase Hitman 2 in a 24 hour special at Green Man Gaming. The Gold Edition copy is now 25% off and contains almost everything you need, including full-game access four days before launch, access to two expansions, sniper assassin co-op mode and executive gear pack. The average price for this game in the past 6 months is $12.28. The game first became 50% off on Nov 21, 2016 at Steam Store. Lowest historic price was $10.99 on Jan 24, 2019 at Fanatical. New historic low price on Hitman Game of the Year Edition. Grab it from Fanatical for only $11 as its star deal offer. Ends in about 25 hours as of writing. If you forget a short lived fluke drop to $15 back around Black Friday 2016, this drop to $20.40 as a flash deal in GMG's Summer Sale makes the cheapest Hitman: Complete first season. On top of the discount a free mystery game and 10% off coupon code for future purchases at GMG. Hitman The Complete First Season is back on sale at a big discount of $24 thanks to GMG's 1-day flash sale during their week-long Birthday Sale. While we'd like to tout support for IO Interactive during this rough time - based on how things are going you may be better off waiting for Summer Sale to see if price drops further. GameStop price mistake? Hitman - The Full Experience (base game + expansions) slashed from $60 to a mere $15 at GameStop making a new low by $15... Crazy good price being the same dollar amount Steam is charging for just the Intro Pack + Episode 1 (here you get all 6 episodes). With 3 of 7 episodes out on Hitman is it time to pick up the game? Full experience (all episodes) now 25% off at GMG after coupon.